Southern Bail Bonds Dallas - Have A Warrant For Your Arrest? Home » Have A Warrant For Your Arrest? So you just found out you have a warrant out for your arrest. Your first thought: “&*%$#@!! Now What? !” Did you forget to pay a traffic ticket, or maybe you didn’t show up for a scheduled court appearance. Or maybe you moved and forgot to notify the court of your new address so you didn’t get the court date notification. Whatever the case, if you’ve got a warrant then before you run down to the courthouse and turn yourself in there are some things you need to be aware of, and some things you should definitely do FIRST! Know Exactly What You Are Being Charged With – if you aren’t sure what the charges are or what they are for then you need to make a few phone calls to the city or county (or whoever initiated the warrant) to get clarification. Find Out If The Charge Is Bondable – Most charges are bondable, but in Texas there are some that aren’t. For example: traffic citations where you previously set up a payment plan and then didn’t make the required payments. Those turn into fines, which most times have to be paid in full. But most regular citations where the warrant is issued because you missed court are easily bondable. Once you have this information, then you can start making some informed decisions. Is your warrant for something that can be handled quickly and easily? Determine if it’s a situation where you can get a bondsman to go with you, do a Walk-Thru bond to lift the warrant and reset the court date, then that may be your easiest, quickest and least expensive option. If it turns out you need an attorney AND a bond then maybe your attorney can handle both. Just know that all attorney’s don’t handle bonds so you may still need to have a bond posted. If you decide to take your chances and just turn yourself in, make sure you at least have the phone number of our bondsman handy. Whatever your decision, Southern Bail Bonds in Dallas is ready to help. Contact us any time. We’re available 24 hrs. a day. Call Patrick at Southern Bail Bonds in Oak Cliff – we can do your bond right over the phone! 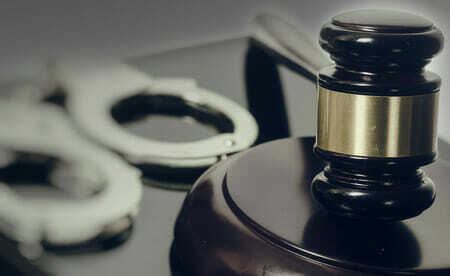 If you do have the misfortune of being arrested for a traffic violation, or any other reason – Southern Bail Bonds can provide you with Dallas County Bail Bonds 24 hours a day, 7 days a week. Call us at 214-372-2500. We’re ready to help!